Scott Ritter needs little introduction. He is well-known for informing the world that Iraq never had weapons of mass destruction, the pretext the US used for their aggression and occupation of Iraq with a view to seizure of Iraq’s oil resources. His experience in military intelligence, as an arms control expert, and UN weapons inspector involving him in various negotiations and investigations in the middle east, prove invaluable in his account of the context of the negotiations leading up to the Iran nuclear agreement, concluded in 2015 and the US abrupt reneging on the deal under President Trump in July 2018. Overall, the book, sporting a foreword by Seymour Hersh, is lucidly written and Ritter and holds our interest, even as Ritter explores the complex dealings between the parties, the documents and personalities involved, and the acronyms, dates and technical details of the nuclear enrichment process. He manages this by weaving into his narrative a series of colourful digressions that shine light on the main issues, add interest and colour, and engage us in the drama that was taking place. The most interesting aspect for this writer are the accounts of the political infighting that took place in both the American and Iranian political and legislative bodies about whether or not there should be negotiations, what could be negotiated, what was just or unjust, who could be trusted and the benefits and problems of any agreement forced on a sovereign country by a powerful imperialist state. One is awed by the arrogance of the US leadership’s acting as if they were a world government, giving orders to another people and nation that require that nation to abandon the only defence system that the US is afraid of, while taking for granted their right to arm themselves with and use nuclear weapons as they see fit, which is the present Strategic Policy, while denying other nations the right to do the same. Indeed this negation of fairness towards and equal treatment and respect for other nations and peoples has been a continuum in US foreign policy since the days of Manifest Destiny and the development of American “exceptionalism,” a chauvinistic and messianic nationalism that runs through American culture, embedding the notion that America is a law unto itself and maker of law for others. 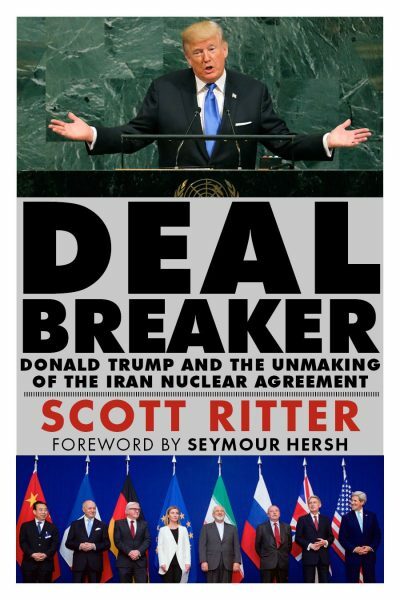 Ritter’s opening chapter sets the scene in Tehran in 2004 at a meeting of the government council tasked with assessing the problems Iran would face if it went ahead with its nuclear energy programme, and most importantly, how to avoid pressure and economic warfare, under the guise of “sanctions” from the US and EU. 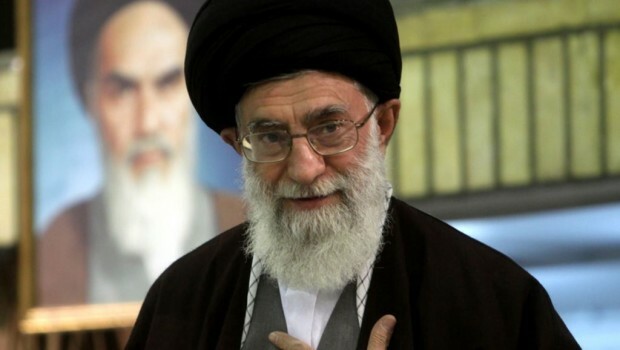 He confirms that Iran had never had a nuclear weapons program, that its nuclear programme was entirely for civilian purposes and describes how their program was suspended while Iran assured European countries of this fact, a pause known as the Brussels Agreement. That agreement was then sabotaged by the Americans calling for a complete cessation of all nuclear activities, whether civilian or military. The Americans wanted to draw in the Security Council so that they could push for an internationally approved regime of sanctions while Iran did all it could to keep to prevent that, preferring to work through the International Atomic Energy Asssociation (IAEA) instead. Countering that, and with American collusion, Israel provided information to the IAEA about nuclear weapons developments in Iran again in order to bring the matter before the Security Council, information that was proved false. By 2006 Iran was still struggling to convince international bodies that its programme was purely civilian while then President of Iran, Mahmoud Ahmadinejad, rejected any compromise on Iran’s right to pursue those activities. The second chapter leads us into a dark world of murder as Ritter narrates the several assassinations and attempted assassinations of Iranian nuclear scientists and engineers by Israeli special units. When that failed the US and Israel tried cyber warfare. The US also tried to undermine Iran from within by interfering in its elections in 2009 and Ritter reveals the role that Jared Cohen and the Iran Democracy Fund played in supporting Iranian opposition figures, particularly Mir Mousavi. The third chapter sets out the role of Oman as go-between in the interactions between Iran, UK, and the US and describes in more detail Benjamin Netanyahu’s hard line on Iran and the nuclear issue. There then follows a long and intriguing discussion of Iranian internal politics, the personalities involved, the religious nature of the republic, its impact on thinking and policy, the character of the Iranian religious democracy, its level of public support as reflected in the level of the popular vote in elections, and, finally, the struggle between the new President of Iran, Rouhani, who though a supporter of the Islamic order was inclined to make a deal with the US, and Ahmadinejad, who insisted on Iran’s unfettered right as a nation to do what it wanted to do, who opposed negotiations. The chapter concludes with a discussion of the beginning of the negotiations with the Obama government, the many details of persons, places, points of agreement and disagreement, and the internal disputes on both sides that led up to the Joint Plan of Action of 2013; a title invented by the US to emphasize its multilateralism while describing an agreement imposed on Iran as if it was willingly coming to the table. Under this plan the US was prepared to “allow” Iran to have a peaceful nuclear programme subject to their stringent inspections, but sanctions were to continue. The only quid pro quo Iran received was a promise of no new sanctions. Israel thought even that was too much and set in motion attempts to sabotage that deal as well. The following chapter sets out the further series of negotiations leading up to the Iran Nuclear Agreement of July 14, 2015, the Joint Comprehensive Plan of Action or JCPOA. Ritter makes it clear that Iran was forced to negotiate looking down the barrel of a very big gun. There then follows an illuminating discussion of the internal dissent in the United States to Obama’s plans for a negotiated deal from members of the US Congress over concerns that Iran had been given too much latitude and the continued opposition from Israel. An equally illuminating narrative follows addressing the tensions between Rouhani and the Iranian Supreme Leader Ali Khameini. 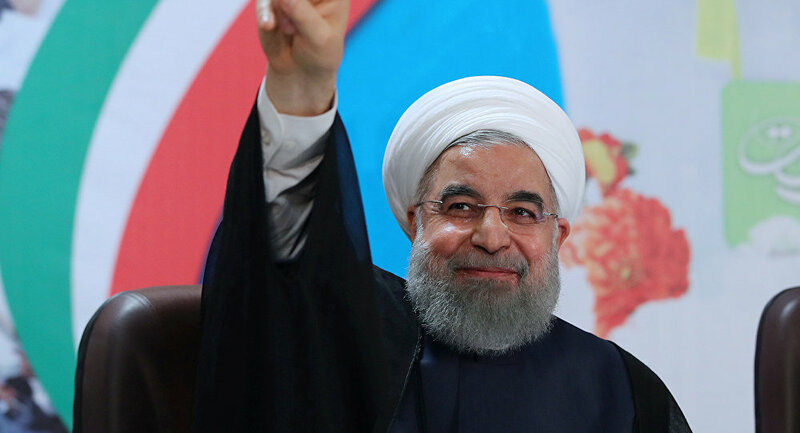 Rouhani pushed for more flexibility with the US to get Iran out of the economic war it faced while Khameini wanted to resist the US sanctions with a “resistance economy.” Rouhani even dared to openly call for a referendum on the issue resulting in accusations of treason from some quarters. The pressures on Obama became so great that he had to warn Congress in a state of the union address that if they legislated further sanctions on Iran as they were threatening to do, the deal would fall apart and Iran would make the bomb. In reaction Republican House Speaker, John Boehner, plotted against Obama by inviting Netanyahu to address the US Congress without informing Obama, an act that was a breach of protocol if not illegal. Netanyahu used his speech to Congress to release information that was supposed to be secret, prompting Obama to suspend information sharing with Israel about the negotiations, a low point in US-Israeli relations. Meanwhile, in Iran, the announced preliminary deal was too much for some as the main points of the proposed agreement were a set of major concessions by Iran: enrichment capacity to be reduced by two thirds, Iran’s stockpile of low grade enriched uranium to be reduced by 98% to 300kg, and, inter alia, Iran to be subjected to another 20 years of inspections by foreign powers. Khameini was angered by the extent of the concessions and demanded that exclusion of military sites from the inspection regime and an immediate end to sanctions be essential elements of the agreement in the final deal. Tensions rose so high that there was even a scuffle in the Iranian parliament between the head negotiator and an Iranian critic that Khomeini had to sooth over a few days later. The final deal was signed on July 14, 2015. And so Iran, a sovereign nation was thereby stripped of its ability to develop its civilian nuclear weapon programme as it deems necessary, and was forced to abandon its nuclear capabilities for peaceful purposes by nations that themselves not only have fully developed nuclear programmes for civilian use but also are armed with nuclear weapons, and in the case of the United States, have used them against civilian populations. The Iranians had argued to no avail that since Iran is a signatory to the Nuclear Non-Proliferation Treaty, it has the clear right to use nuclear energy for peaceful purposes. As a lawyer, with long experience in international law, I can confirm their view is correct. Article IV of the Treaty acknowledges the right of all Parties to develop nuclear energy for peaceful purposes and to benefit from international cooperation in this area, in conformity with their non-proliferation obligations. Indeed the United States itself is in violation of the Treaty since it is required, as a signatory to the Treaty, to take all necessary steps to eliminate its nuclear weapons arsenal. Under Article VI of the Treaty, all Parties undertakes to pursue good faith negotiations on effective measures relating to cessation of the nuclear arms race, to nuclear disarmament and to general and complete disarmament. Instead, the United States is increasing and modernising is vast nuclear weapons systems and increasing the destructive power of those systems. To add insult to injury the United States turns a blind eye to Indian, Pakistani and Israeli stockpiles of nuclear weapons. Those nations refuse to sign the Treaty. Worse, Netanyahu threatens to use the Israeli nuclear weapons against Iran. Yet no pressure is applied to Israel to eliminate its nuclear weapons program. The hypocrisy is stunning. After all the years of struggle between Iran and the US and all the internal struggles that took place in order for a deal to be reached, it took just two weeks after taking office for Trump to announce that he was considering scrapping the deal. In taking the step he claimed that it was a reaction to “proof” supplied by Netanyahu that Iran had a nuclear weapons programme all along, dating back to 2003-4, and claiming Iran lied about it, a story as bogus as many of the documents Netanyahu had presented, most of which had been in the public domain for many years. The Europeans and Iran were left scrambling to try to save a deal that was now effectively dead in the water. Since there never was any verifiable evidence presented in the nearly decade and a half charade attempting to prove that Iran was in violation of the Treaty, as all 17 US intelligence agiences had confirmed it was not, this new effort by the United States, Israel and participating nations to force it to abandon its civilian program on the pretext it would be used to make weapons is unwarranted and makes a sham of the legal authority of the Security Council that has been brought to bear. Even the notion of multilateralism has been damaged. In conclusion, Scott Ritter’s compelling narrative provides us with a well written, well documented, and interesting account of a struggle that is not yet over. The book is a must read for anyone who wants to understand the grave situation that the world now faces as a result of Trump’s action, an action which continues to threaten us all. Christopher Black is an executive member of the Canadian Peace Council. He is a frequent contributor to Global Research.